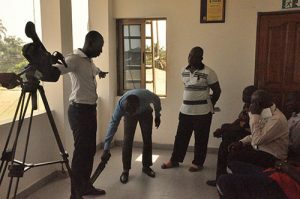 Security Warehouse Limited, the leading name in electronics security solution in Ghana has organized a one day practical electronic security training to the Man guards of the Network Boadcasting Limited on Wednesday, 9th of November,2016. 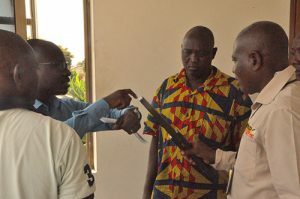 As part of its mission of becoming the most preferred security solutions provider in the sub region, security warehouse limited gladly accepted the invitation to train the security guards to keep them abreast with current security trends as well as prepare them to effectively manage the security of the media house as the nation prepares to go to the polls. 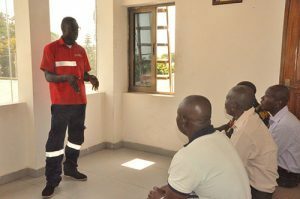 The training was facilitated by Mr. Samuel Laryea, an Assistant Project manager at Security Warehouse and Mr. John Menla, head of maintenance department. 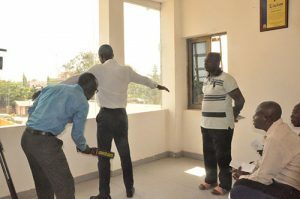 The Security Guards were taken through topics such as Access Control management, Weapons and metal detection strategies and video surveillance and monitoring.